It always starts with curiosity and the desire to offer added value for customers and patients. 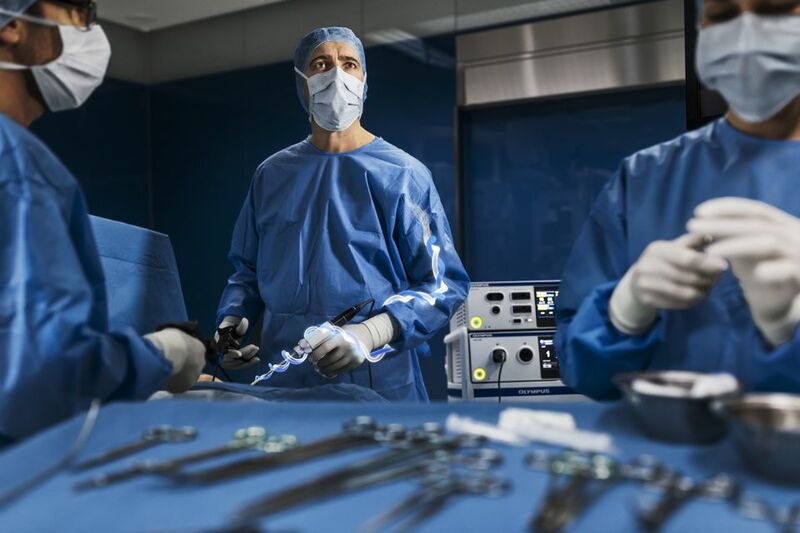 To turn this into product innovations is what drives Research and Development at the various locations of Olympus Surgical Technologies Europe day after day – among all disciplines in a European and global context. There are many figures that impressively substantiate our innovation power. For example, the 15 percent share of sales that the company reinvests annually in research and development work, or the approximately 100 patents applied for each year, almost two per week. 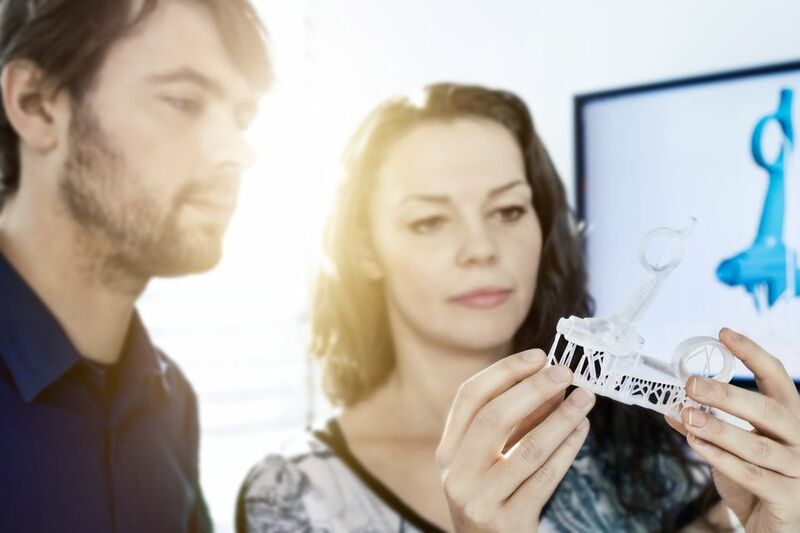 The fact that the company is growing continuously and one out of five employees is an engineer – with a growing tendency – is evidence of a living and open innovation culture. But what is more important is that the innovations of Olympus are also reflected in concrete new or ongoing developments and offer real added value. Healthcare professionals as well as patients profit from many small and large advances in medical technology: focusing especially on minimally invasive methods – with the goal of integrating and miniaturizing as many functions as possible in the smallest space. In rigid endoscopes, the image is transmitted completely by lenses from the tip to the camera head. This provides unique optical quality. 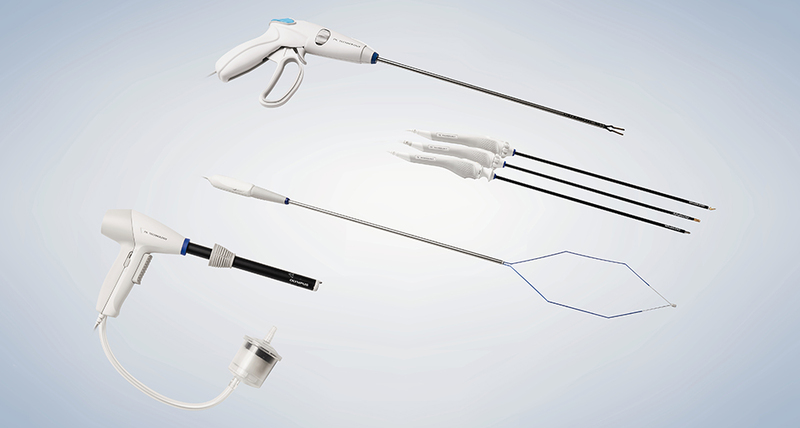 Thanks to a hermetically sealed construction, rigid endoscopes are also suitable for sterilization methods like autoclaving. These are the best conditions for surgical applications. Endoscopes from Olympus can contain complex optical systems with more than 20 lenses – and in minimum space. The smallest optical systems installed have a diameter of only 0.6 millimeters. To develop such systems, an interdisciplinary team from the divisions of electronics, optics, and mechanics work closely together and use the latest optical technology such as aspheric or ED glass lenses for color correction. The most modern laboratories and simulation environments are used to develop and test the optical and mechanical designs. This way, Olympus is able to set new standards in the miniaturization and improved image quality of rigid endoscopes time and again. Olympus is working continuously on the optical quality of the images created. 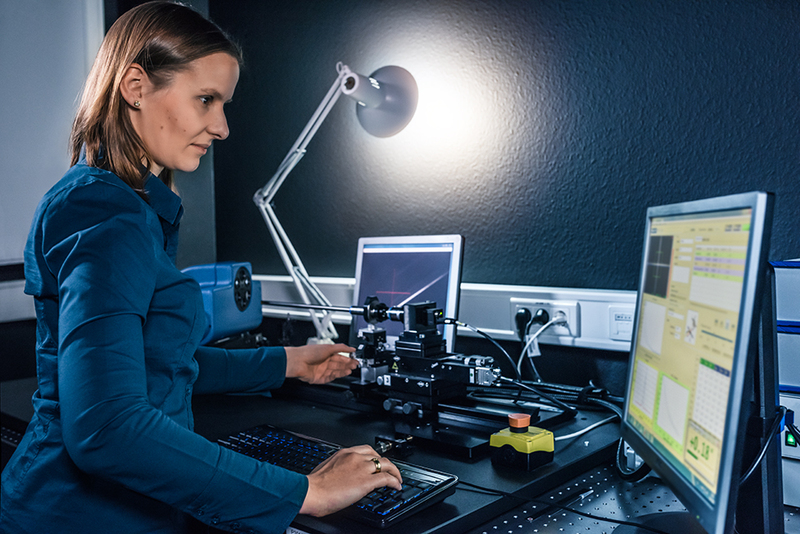 If HD images were the gold standard before, now 4K technology offers an image resolution that is four times higher with excellent contrast, and thus the possibility of making even the finest tissue sample and structure in the body visible. ED glass lenses with especially low dispersion minimize color fringing. Thanks to an enlarged opening angle, the user also sees a significantly larger image. In the high-resolution video endoscopes (ENDOEYE), there no longer is an interface between the camera head and the endoscope, and classic rod lenses for rigid endoscopes are no longer used. Instead, at the tip of the endoscope, in a diameter of partially only 5 mm, is an image sensor combined with a lens, matched to each other and manufactured mechanically in such a way that they are suitable for sterilization methods like autoclaving. Here, the latest technologies like flexible circuit boards and a magnetic coupling to rotate the image sensor are used. One of the most recent innovations is a type of heater at the tip that prevents the typical fogging over of the optical flat when it is introduced into the human body. A focus-free image and simple handling thanks to plug-and-play are further innovative buzzwords. 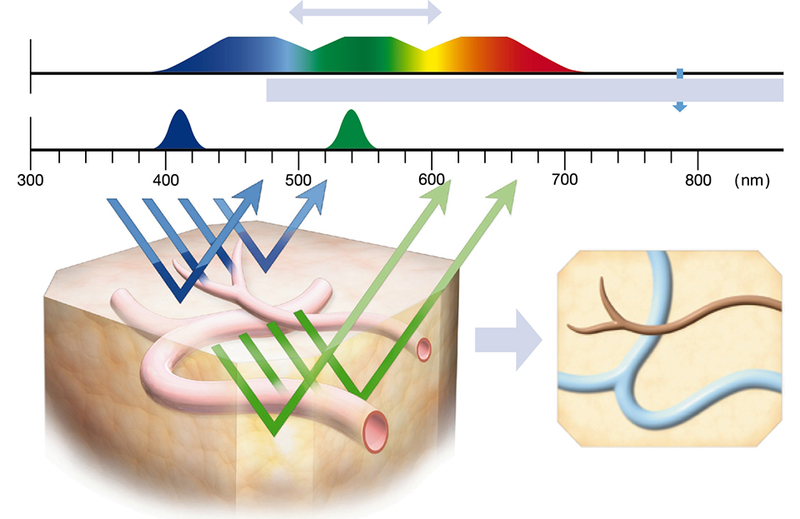 In the spectral imaging – narrow band imaging (NBI) – developers make use of the fact that green and blue light penetrate the tissue at different depths. This information allows fine structures and capillary patterns on mucosal surfaces to be visualized very well and correlations to be detected that cannot be determined from a normal endoscopic image. Because of the limited space and difficult access, in minimally invasive surgery, tissue is not removed conventionally with a scalpel. Instead, innovative methods with “energy” are very often used, for example, to seal vessels and cut them directly thereafter in one step. One example of this is high-frequency surgery as an area of growth in medical technology. Here, high-frequency alternating current from a special generator is used to remove or coagulate tissue gently. In urology and gynecology, the application is based mainly on access through natural body orifices using an irrigation fluid. In laparoscopy, treatment is performed mainly through surgically created incisions and normally in a gaseous atmosphere. This entails different requirements of the instruments used, which the developers have to consider in their work from the start. A distinction is made between monopolar and bipolar methods, depending on the pathway of the current. One example of this is the bipolar PlasmaKinetics (PK) Technology, an enhancement of bipolar high-frequency technology, with optimized power output and a complete assortment of laparoscopic instruments for different applications. A further opportunity to optimize the therapeutic effect of high-frequency technology is to combine it with precise ultrasound technology. By using two energy forms simultaneously, the benefits of both can be applied: reliable vessel sealing with the latest bipolar high-frequency technology, fast cutting, and precise tissue dissection with ultrasound. Olympus has made this possible with its THUNDERBEAT system. 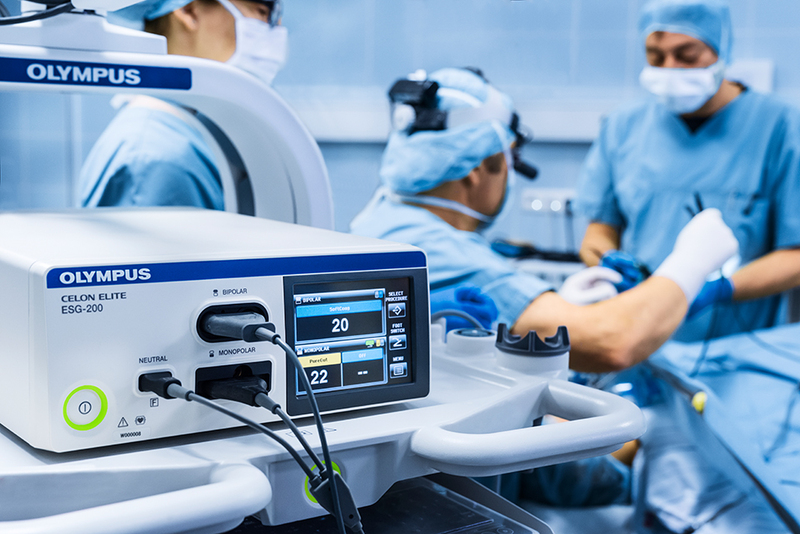 The continued development of high-frequency generators and instruments are a basic component of research and development at Olympus, in order to adapt the energy output even better to the respective tissue, and in this manner provide the most effective and gentle treatment possible. Depending on the application, different core competencies, such as monopolar and bipolar applications, simulation of fluid flows, micromechanics, and material science, are used. After an operation, surgical instruments must be ready for the next use safely and efficiently – cleaned and sterilized. Ultimately the safety of the patient and the user depends on this. For this reason, all rigid endoscopes and many other medical products from Olympus are autoclavable and compatible with reprocessing methods that are common throughout the world. Each endoscope is detected automatically by radio-frequency identification (RFID) and can be assigned to a user and a reprocessing procedure later. 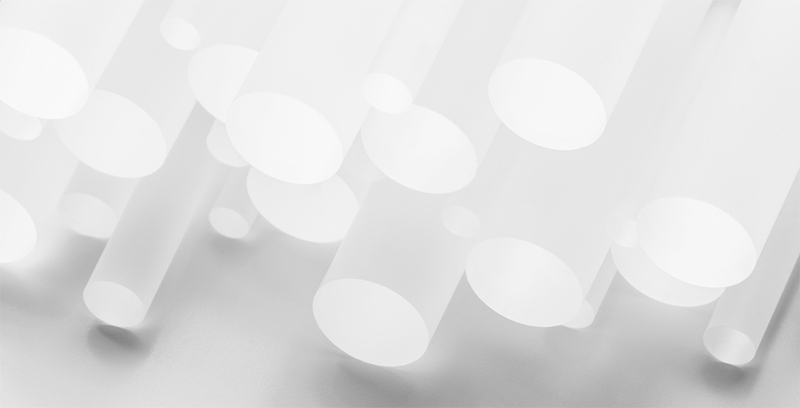 Critical parameters such as the rinsing pressure, temperature, and dosage of cleaning and disinfection chemicals can also be noted in the process documentation. A leak tester checks the endoscope for leaks during the reprocessing procedure. A flow control checks whether sufficient cleaning and disinfection solutions are flowing through the internal channels of the endoscope. The user can choose between different procedures to dry out the internal channels of the endoscopes, depending on whether the endoscopes will be reused directly or will be placed in a dry cabinet, for example. Patient safety and user friendliness are the guiding principles for any further developments of the ETD. This is also reflected in the ETD Double as pass-through washer-disinfector. Installed in the wall of a building, it allows used and cleaned instruments to be handled in completely separate spaces. A significant gain for hygiene safety in ongoing hospital operations. In addition, users also profit from the high capacity and the short cycle time of the system – in a reprocessing procedure that is optimized at the same time. Reprocessing will also be a central theme for research and development at Olympus in the future. This will be a matter of combining core competencies in hygiene and fluidics (fluid mechanics). Whether there is a trend away from manual to automated integrated reprocessing procedures or the continuously optimized cleaning and disinfection performance of programs and the chemicals used, during times of SARS, multiresistant germs, and other infections, safe reprocessing continues to gain in importance. It is not only a matter of safely eliminating all pathogenic germs, viruses, and spores. At the same time, the processes must also be compatible, compliant, and user friendly – for the machine and endoscope as well as for patient and user. 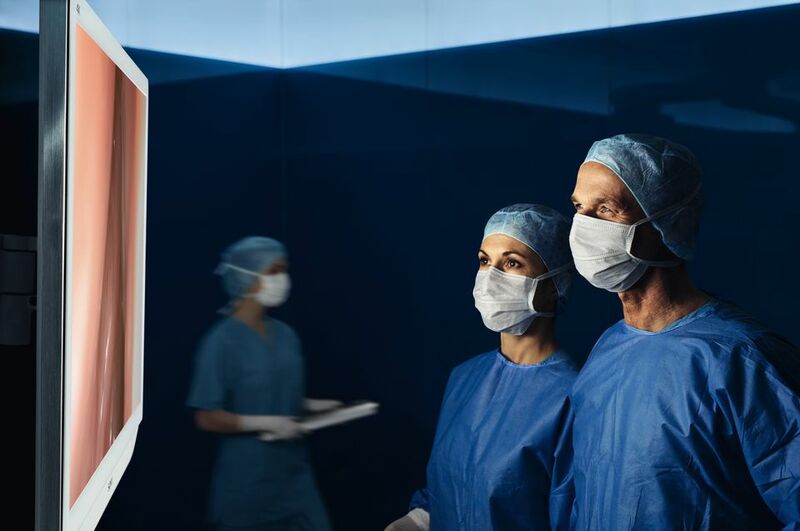 The future of the operating room lies not only with the possibilities of medical instruments, but also in their intelligent networking. Therefore, this is also an important subject for research and development at Olympus. With ENDOALPHA, a visionary control, communication, and documentation system was created to control all the necessary medical devices and peripheral systems in the operating room and to integrate them in the IT network of the hospital. From touchscreens, endoscopic devices, operating tables, lamps, to camera and video systems can be adjusted and controlled centrally. In this project, international cooperation is also comprehensive. The ENDOALPHA system was developed jointly with colleagues in Japan, and Olympus Surgical Technologies Europe is responsible primarily for the video management. This module allows the direct exchange of image and video data. For example, videos and snapshots can be recorded from different sources – such as an endoscope or a surgical camera – or be displayed flexibly on monitors. In addition, it is also possible to obtain second opinions during surgery. Live connections to experts, in lecture rooms, or at congresses are also possible by integrated audio and video technology without a problem and in the highest quality. One of the main focuses in the further development of systems integration is usability, that is, easy and error-free handling. One example of this is the innovative SmartGuide operating concept. This intuitive touchscreen takes you to your target with a maximum of two clicks. Scene selection, another innovative function, guides the surgical team through various predefined surgery phases. Both contribute to simplified, standardized processes – and thus to safety and quality. Such innovations are based not only on the technology, but also on the exact awareness of workflows and IT infrastructure in the hospital. This is the only way to develop products and solutions that really benefit the customers. Want to learn more about Olympus products or looking for a contact person in sales? You can also find additional information under Products. The best technical possibilities are in vain if the instruments cannot be handled safely and ergonomically. Therefore the tactile design of products is also an important aspect of our development work. In addition to function and reprocessing capability, the requirements of the products are manifold. To support users in their work as much as possible, the products should be capable of being operated intuitively. The instruments should also fit comfortably in the hand and be safe to use even during long surgical procedures. To guarantee all this, anatomical, physiological and psychological knowledge flow directly into the product development. Users and test labs are integrated early in the development process. The development engineers at Olympus also cooperate with specialized industry designers that know the users and the application environment. Because of sometimes very long product lifecycles, timeless design is required – just as much as aesthetics and recognizability as an Olympus product. Therefore, for more than 20 years, Olympus, as one of the first manufacturers of medical technology, has started to develop and establish a corporate product design that has been reflected in all products ever since, with success. In recent years, instruments from Olympus have been honored with the most important design prizes – the Red Dot Design Award, the IF Design Award, the Good Design Award and the German Government Prize for Industrial Design. 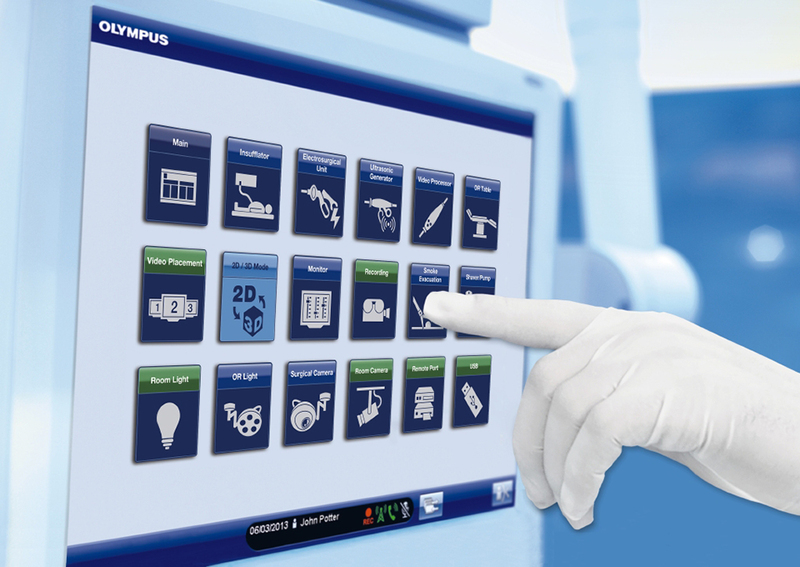 In order to remain technology leader, Olympus Surgical Technologies Europe invests much of its R&D budget into technological development. Creativity and inventiveness require space and structure, whether for new products or new functions for existing products. That is why focused innovation management is part of Research and Development at Olympus Surgical Technologies Europe. Innovations in medical technology can mean different things, like adding new functions to existing instruments so they can be considered for additional applications or developing totally new types of products. What is important is to identify genuine user needs and to develop user-oriented strategies on this basis rather than just being guided by technical possibilities. This premise includes long-term strategies and processes idea generation, evaluation, and implementation inside and outside core areas for Research and Development as well as for product development itself. Users of select applications are specifically observed and surveyed in work groups and sometimes together with external consultants. This is just as much about the users as it is about their connections to other participants inside and outside the operating room. The goal is to embark on innovative paths with new and advanced products, and to invest in the cutting-edge technology of tomorrow. This is the only way to guarantee future growth and expand our position in the world market. Therefore, the value proposition is part of the specification and the associated efficiency certificates are an essential part of the development work. Of course, work on strategies for the future is influenced significantly by global megatrends. So for globally active companies like Olympus, it is always more important to respond to specific local requirements of their respective target markets as well as increasing cost-consciousness. Innovations in medical technology are produced by long-term networking and combining different skills. Those who want to think about the future must be on the pulse of time. That is why Olympus is also working together with many scientific institutions. This includes universities as well as renowned research institutions. Moreover, cooperation with universities is also very important for recruiting future employees – here early contact can be made with the engineers of tomorrow. Working students, interns, and students writing their theses at Olympus often come to us from cooperating universities. A win-win situation. Olympus profits from the latest trends from the academic world and students can gain practical experience. Last but not least, first experiences for students often turn into permanent positions later. Want to learn more about our Research and Development activities? Please contact us! For us it is always a matter of improving patients’ quality of life. In order to turn visions into reality, we need people that are naturally curious, customer-orientated, quality-conscious, precise, and have excellent expertise. For us, Research and Development means knowledge, experience, and interdisciplinary cooperation among highly specialized employees from most diverse fields. The professional and geographic origin of our employees is as diverse as our product range. Whether electrical engineering, mechanical engineering, medical technology, computer science, or media technology – depending on the division, the widest range of expertise is required. 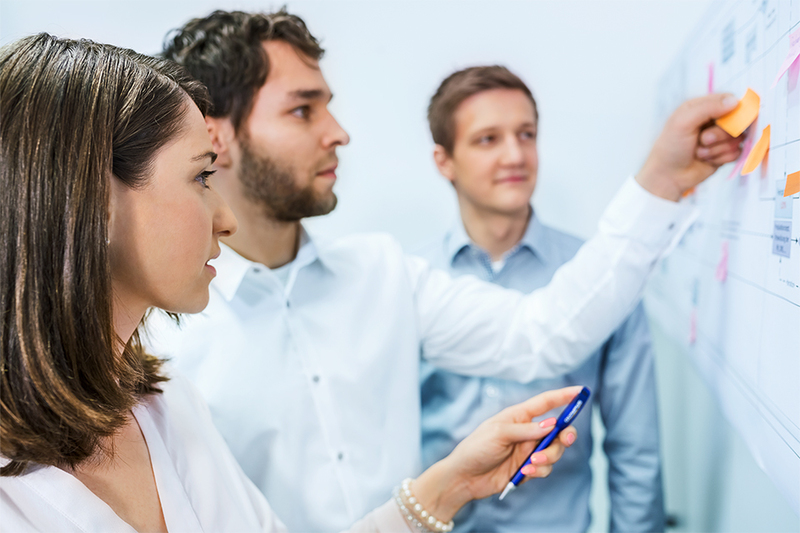 Every single employee has an excellent opportunity to share interdisciplinary experiences and to observe projects from a variety of different perspectives. Our employees appreciate their diversified spectrum of tasks and the ample latitude they have for individual initiative. Work is done in teams – open, as colleagues, and with great individual responsibility. Frequently the staffing of these teams is not only interdisciplinary, but also international, because colleagues from the Czech Republic, Great Britain, and Germany work together at different locations. In addition, there are international cooperation projects with partners from Japan and the USA. Specialist or generalist? Depending on the area of responsibility, both are needed. Important is always a certain openness to new subjects and the willingness to look at the big picture. Also the ability to think outside the box and work independently with motivation are characteristics that our employees have in common. Furthermore, applicants should have good communication skills, be customer-oriented and creative. The range of professional qualifications in demand is wide and varies from division to division. On the one hand, engineers and experts with specific technical skills are needed. On the other hand, generalists with good organizational and communication skills are required to lead international projects. In any case, a technical degree or comparable professional experience, preferably with a focus on medical technology, would be an advantage. In addition to the professional qualifications, experience in a regulated environment would also be helpful here. Regardless of whether you come with years of professional experience, have just graduated, are working on a thesis, or want to acquire your first practical experience as working student or apprentice, if the professional qualification and motivation are right, submit your application and become part of the team!